Classical media from ZenBio includes the base media characterized for use with ZenBio cell products. Media is offered as single bottle units. ZenBio offers a DMEM-based, specially-formulated, crypreservation media that has been optimized for superior recovery of viable cells after storage in liquid nitrogen. 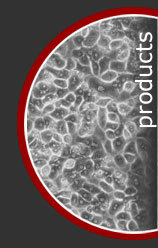 Reagents from ZenBio include a number of different products routinely used in cell culture. Nimil Sood, Walter T. Jenkins, Xiang-Yang Yang, Nikesh N. Shah, Joshua S. Katz, Cameron J. Koch, Paul R. Frail, Michael J. Therien, Daniel A. Hammer, and Sydney M.